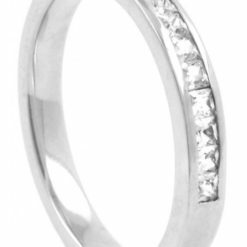 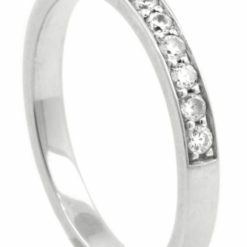 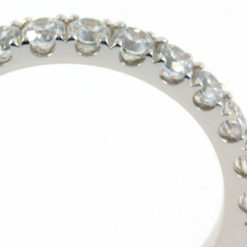 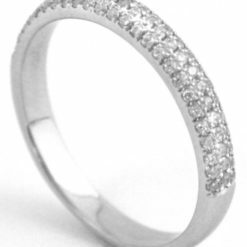 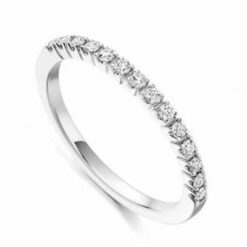 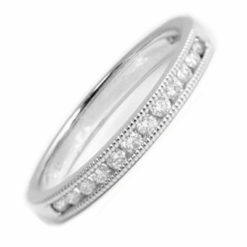 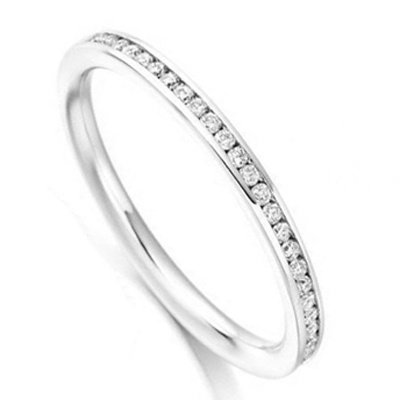 With a width of just over 2mm, this is a channel-set diamond half eternity ring is elegantly proportioned to be worn on its own or matching an engagement ring. 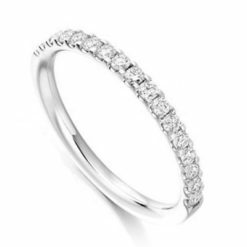 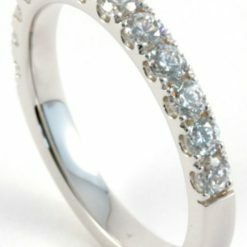 With 24 round brilliant diamonds weighing 0.26ct set into a perfect half eternity, this ring has proven to be a really popular choice. 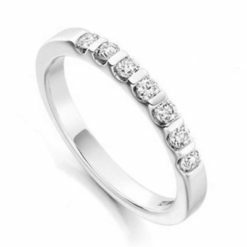 Available in yellow and white gold or platinum.